These heavy duty fabricated steel differential covers are designed with both form and function in mind. They will dress up the rear axle of any truck with the strength to handle even the toughest off-road obstacles without concern of leaving you stranded. 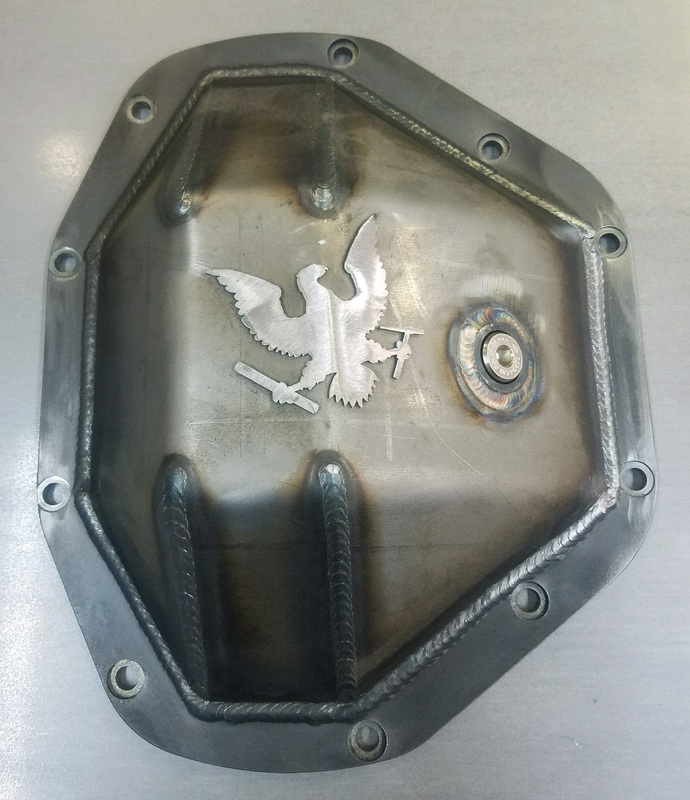 These covers are constructed of laser cut 1/4" plate and then hand welded with the utmost care to a 3/8" outer ring. The entire cover is then decked and drilled in one of our in house CNC mills to ensure a flat mating surface and perfect hole alignment. Available in bare steel or powder coated as well as an optional ram assist tab and center bracket, we surely have a configuration to fit your needs! These covers are for Dana 80 rear axle and come with a magnetic fill plug. These axles are usually found on the 1999-2016 Ford F-350 dual rear wheel trucks and some Dodge trucks as well. Hardware kit for fastening the cover to your axle is included.